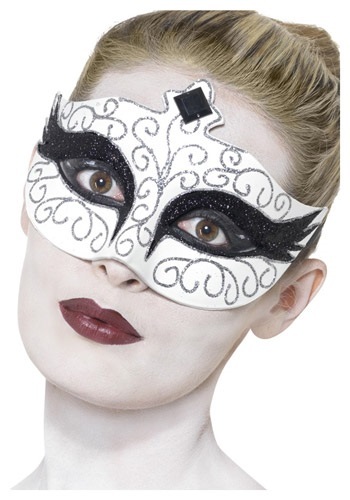 Gothic Swan Eyemask By: Smiffys for the 2015 Costume season. Beautiful swan, or Gothic masquerade guest? You decide with this eyemask. Covered in glitter, and faux gems, it has a dark, yet strangely alluring quality that just can't be describe, despite how hard we might try right here in this description. Once you put it on with your black ballerina tutu, you'll see what we mean.